← Sakamichi no Apollon: the curse of noitaminA strikes again? Endou & Hoshi: Good point, she isn’t! Nakamura: There’s a huge guy here. Hoshi: Yes there is. And there’s a small guy too. Nakamura: During the recording, they hadn’t finished the animation, and all they told me was that “there’s a huge guy there”, so once I saw it after all the color had been properly added, I thought “Woah, he really is huge” – that’s what surprised me the most. (Endou: really huge!) In the end, I still don’t really know who this guy is. Hoshi (to Yoshino): So who is he, ultimately? the others: the owner, ok.
Nakamura: But even at the end, nothing was really made clear. Nakamura: a lack of time was the problem? I really wanted to know, around this time. Yoshino: Well, it might be touched upon a bit later, maybe. Nakamura: Well, we still can’t say anything, huh? Yoshino: Once you get to the last episode, there’s this pendant you see. But we really shouldn’t be talking about what’s ahead right now…sorry! Nakamura: It’s fine, isn’t it? I feel like we’ve done this a lot already, in previous episodes. Yoshino: Let’s just say that he’s “That person’s fan”. Endou: I wonder who that person could be…? Nakamura: and we’ve gotten to the opening. Hoshi: Still this one, huh? Still ‘Triangular’. Nakamura: It changed pretty late, didn’t it? Around 20? Hoshi: for a 2-cour show, that’s pretty late. Nakamura: for a 2-cour show, it usually changes around episode 13/14. Hoshi: was that for reasons to do with the direction (of the new opening)? Yoshino: well…it certainly wasn’t convenient in terms of the schedule. Nakamura: Like, shouldn’t it be changing soon…? Nakamura: I always thought they were rather strange. I mean, that V-neck part. Hoshi: You can see his belly button. Yoshino: Well, there’s the possibility of body-painting. Hoshi: No kidding? The blue part being body paint? Hoshi: That’s kind of embarrassing. Endou: Completely (embarrassing) you mean. Nakamura: Girls would admire him (好意), but guys would be jealous. Yoshino: Ah, he’s been owned, he’s been owned. Nakamura: Yeah, Alto’s completely beaten here. It’s as if it’s a set thing, that he can never win against Brera. Hoshi: I think he became very popular around the school after this. Hoshi: I mean, he looked so suspicious at the start, like a stalker. 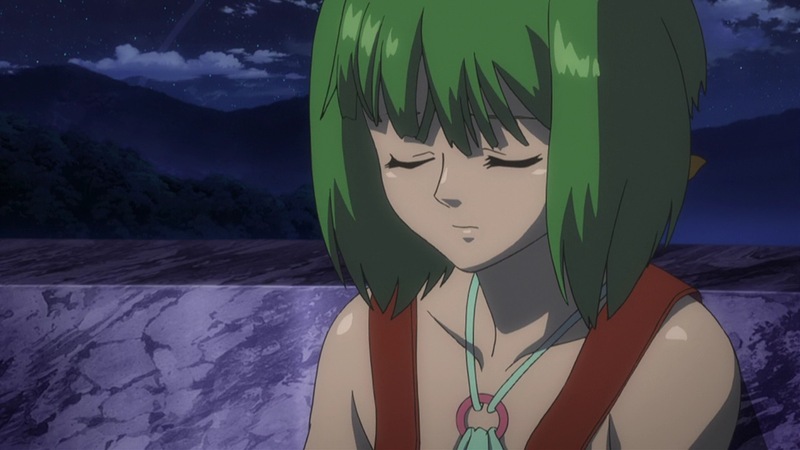 Yoshino: But in the end, (we thought it’d be) weird, so we had him as Ranka’s bodyguard. Hoshi: And that’s much better, after all! 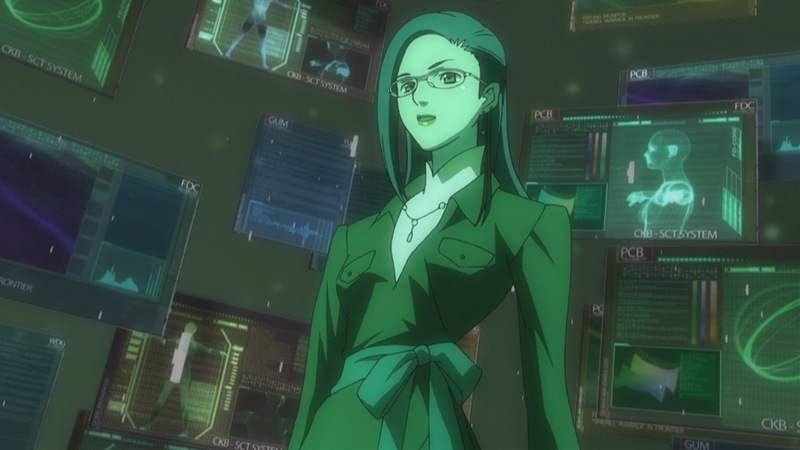 Nakamura: It was kinda revealed in the 10th episode, but I was wondering – was it ever confirmed in the show itself, that Brera is a cyborg? Hoshi: Ah, like “The Tale of Brera” or something (c.f. “The Tale of Genji”). I thought it was a waste that we didn’t see more, like what does he do when he’s not on screen? Nakamura: True true, no one knows. Endou: it piques one’s curiousity. Nakamura: It’d be interesting to see that. Yoshino: But isn’t he popular with girls because he doesn’t say much? Yoshino: The male characters I write, if they speak too much, they’re not really popular. I’m sorry, Alto. Hoshi: Even though Alto’s actually such a great guy. Nakamura: (agreeing with Yoshino?) Yeah, he snaps unexpectedly quickly. Hoshi: His voice is cool too. Hoshi: and he lets his feelings out so easily. I like that kind of character. Endou: Like, he’s really passionate. Nakamura: But girls like the quieter, more collected ones. Endou: Ah, you thought him a bit of a threat. Nakamura: Well, yeah, I got rather worried. (laughter) Like, “I’m done for, totally done for”. Endou: Kawamori-kantoku once told me that it’s the side characters who are cool, rather than the protagonist himself. Yoshino: in scenes like this too, she was directed to sing half-heartedly. Hoshi: Ah, she couldn’t give it her all. Yoshino: Giving a bad performance is actually quite difficult. Hoshi: she had to give off that nuance, huh? Nakamura: but the really difficult thing, I think, would be the recording of the songs used as part of the BGM, because they’re done on a different day. This kind of arrangement, where she does it after the dialogue recording, probably makes it easier to grasp/recall the mood of the scene. Endou: Were the singing recordings also directed by Mima [Mima Masafumi – the sound director. Sound directors are typically responsible for directing the seiyuu -karice]. Yoshino: Mima gave up the director’s chair! Nakamura: I think that Nakajima probably doesn’t go off-tune, but if we’re talking about someone who’s not so good at singing, would they go be able to hold the correct pitch in such a situation? Hoshi: Ah, so it would end badly. Endou: I see I see. Nakamura: That’s a topic that really leaves us hanging, huh? Nakamura: Why is Sheryl here? Hoshi: And in such a bad state. Endou: True true…is that alright, I wonder? Yoshino: This time, it’s probably because she can’t stand staying in he hospital…but after realizing that she doesn’t have anywhere to go, she ends up here. Endou: And they meet quite often by chance, don’t they? Nakamura: Alto finds her by chance, like 2/3 times (over the course of the show). Hoshi: He’s very good at that, huh? Yoshino: It’s as if (I) like daytime soaps, the “Ah, crap!” kind of timing. Hoshi: She was even taken away by his brother. Nakamura: Right right, by his brother. Yoshino: Save that for next time! Nakamura: After punching him right in the face, she kicks him. Endou: She seems quite well, doesn’t she? Nakamura: Just a brief moment when you can see her upbringing, huh? Endou: Well, one thing or another, it’s her upbringing. Nakamura: That’s her upbringing, after all. Nakamura: I’ve always been a little curious about Sheryl’s hair colour. How did she get that kind of colour, by streaking it? There’s a bit of pink in there, right? Hoshi: It is rather pinkish. Yoshino: I think it’s just the gradation. Hoshi: Why doesn’t it turn yellow, for example, when she’s singing? Yoshino: That’s because of the SFX. Hoshi: SFX? Then this pink is its natural colour? Nakamura: so they change it using holograms? Yoshino: Her clothes change too. Endou: She wears a suit for that, right? Nakamura: Not thinking it through, he comes too close. Endou: Too close. Be careful! Nakamura: And (Michel) drops by. Endou: Just a little bit longer! Hoshi: Don’t get in the way! Hoshi: That’s some treatment of Sheryl…. Endou: But I really liked this scene. Nakamura: He’s very straightforward, like “It’d be bad if she’s seen”. Nakamura: They use video for communication, right, but if they do this suddenly, it could lead to an awkward situation. Hoshi: suddenly, yeah, your privacy. You could be changing. Endou: They should give them time to prepare themselves. Yoshino: Can’t be helped, they’re in a military organisation and orders come from above. Nakamura: so it’s not even a question about privacy. Endou: Rather, it can’t be helped. Hoshi: It can’t be helped…?! Urgh…yikes. Endou: You’d like them to be informed about this before they sign up! Yoshino: we thought we’d bully them a little here. Hoshi: That image on the Monster – does it have any meaning? Nakamura: Like “how about this?” or something? Yoshino: And actually, nose arts of fighter planes etc tend to be rather perverted. Nakamura: I mean, look! she’s not wearing underwear. Hoshi: I was wondering what’s up with that! Endou: You wonder if that’s Ranka – so your heart skips a beat because of that. Nakamura: Ozma is quite something, to have allowed that. Hoshi: Ozma would never allow that! Yoshino: If he saw it’d he’d be pissed. Nakamura: Ah, so he hasn’t realised! It’s right there! Hoshi: Look! It’s so obvious! Wait, look look, he’s realized! Nakamura: he’s really staring at it! Hoshi: Staring straight at it! Nakamura: So that’s why he’s angry. Nakamura: And here we have this cockpit, which is rather mysterious. Yoshino: Well, it’s basically a virtual space, like, that’s what it looks like from Brera’s pov. Nakamura: Ah, an image that he sees. Hoshi: Ah…eh? but he can really maneuver the fighter like that? Yoshino: like, there’s a way to control… Going back, I can’t remember exactly which episode it was, I can’t remember which episode, but you can see the actual cockpit somewhere, just for a moment. Nakamura: So when he sorties, it basically changes almost immediately? Hoshi: Something like that – something you’d go ‘moe’! over. Nakamura: But you decided not to reveal them this time. Hoshi: it’d become too messy? Nakamura: Well, we had Klan’s subordinate, who didn’t even speak before she died. Yoshino: but she did, a lot, in the CD drama! 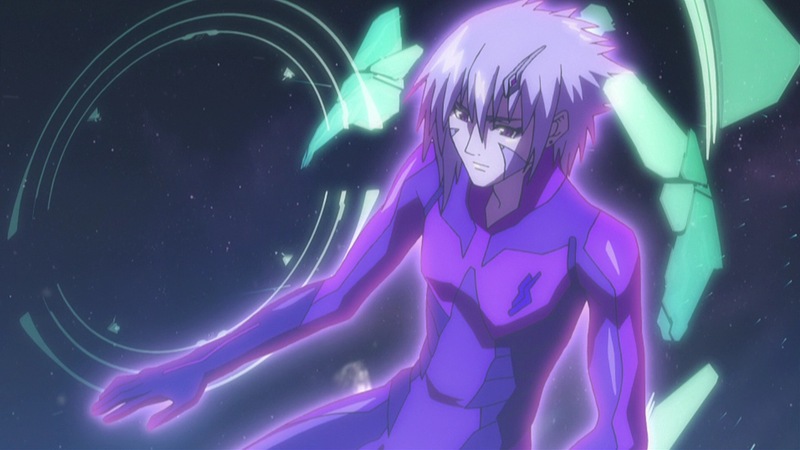 Nakamura: Ah yes, there was an episode about the Pixie Squadron, wasn’t there? Yoshino: We hurriedly set up her character for that. Hoshi: like an afterthought, huh? Hoshi: The battle scenes really are cool. Nakamura: Doing this kind of CG battle scenes week after week for a TV series has to be pretty tough, does’t it? Nakamura: Ah, there they are. Ah, Brera is actually a Captain, isn’t he? Hoshi: Ah, so not everyone has a magenta fighter. That’s great, having something special that sets him apart. Nakamura: It’s not so easy to tell (that the other two are VF-27s) because we don’t get any close shots of them, huh? 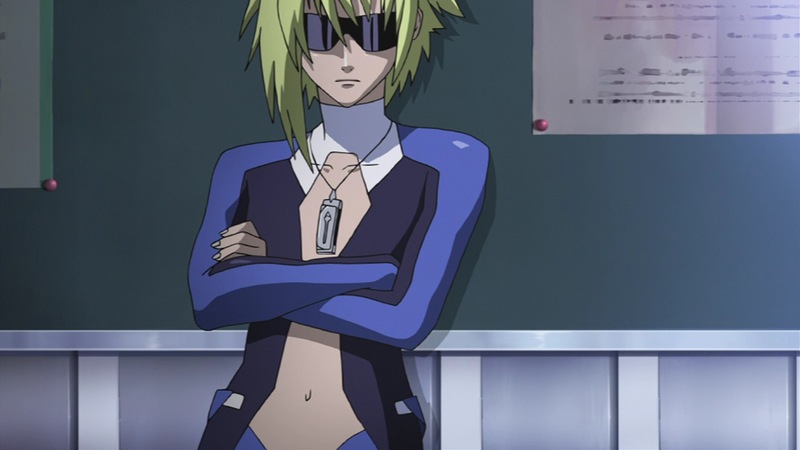 Yoshino: What we see around Grace here is basically the same thing as with Brera’s cockpit. Hoshi: Ah, an image in their minds. Yoshino: Yup, these kinds of images. Endou: A female captain! That’s really cool. Endou: it’s like she’d take that off in a jiffy. Hoshi: and she’s the only one like that. 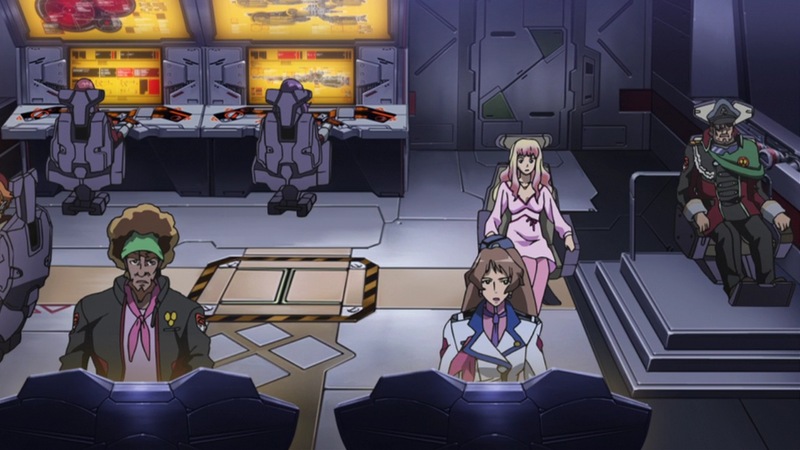 Nakamura: But looking at those clothes there – there’s gravity on the ship, huh? Yoshino: Ah, now that you mention it, yes. 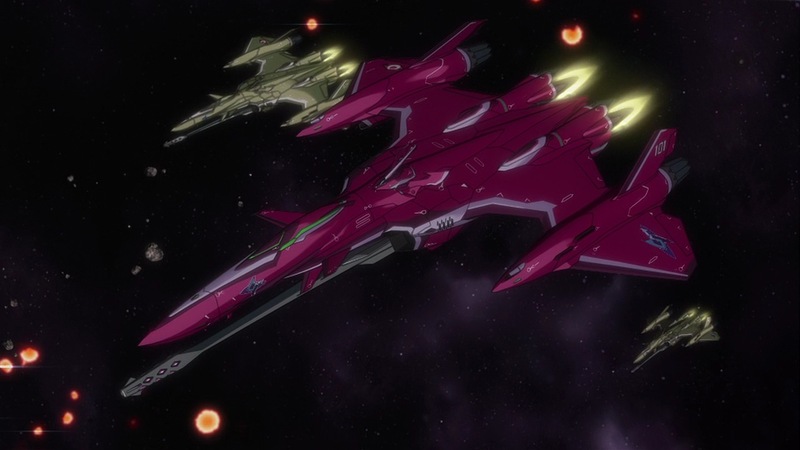 In the Macross universe, artificial gravity is pretty widespread. So you can live quite normally on Island 1, without during somersaults in mid-air and all that. 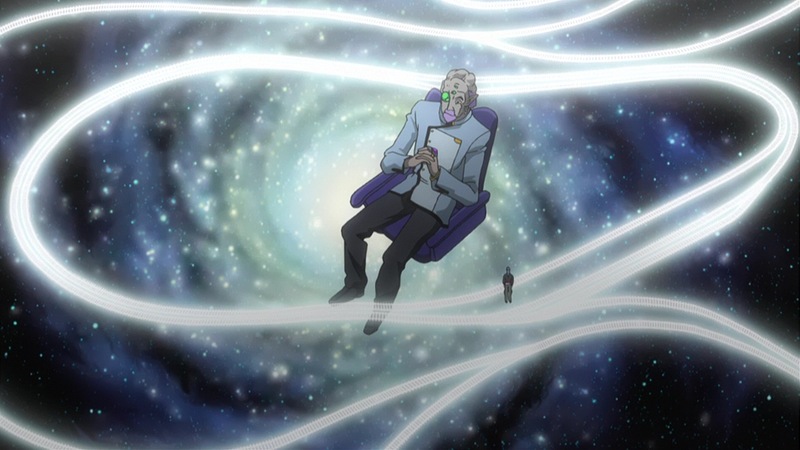 Nakamura: Ah, true, gravity can be created without relying on centrifugal force. Hoshi: Ah…I’ve started just listening along. Nakamura: True, when there’s music, we typically end up listening to it. Nakamura: It’s got (different) lyrics. Like, it’s become rather virile. Endou: Yeah, I didn’t expect that. Hoshi: But then, it’s kind of cool too. Nakamura: It’s not a vulgar song. Hoshi: No, it’s not. 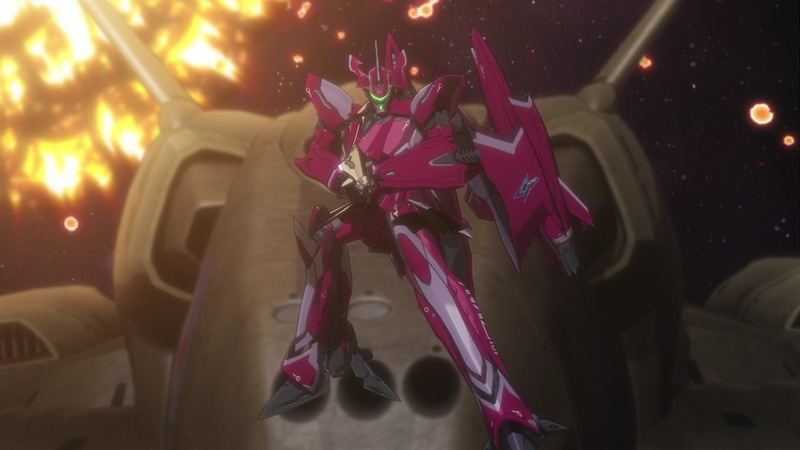 Of course, the original Aimo is better. Yoshino: The one that was in episode 10 is just really…soothing, isn’t it? So a lot of viewers really liked it. Hoshi: It was about “The Bird Human”, wasn’t? Nakamura: It was just as you planned. Yoshino: Ah, he’s come to be beaten. 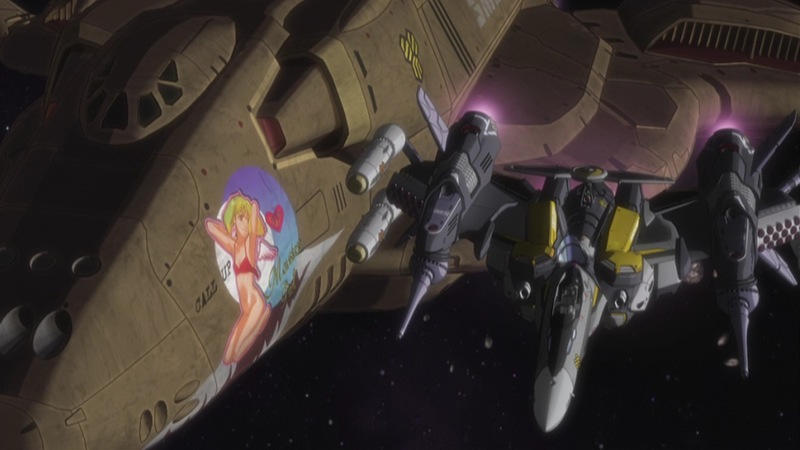 Nakamura: It’s like a standard in Macross: if you yell, you’ll get trashed. Endou: And that’s what makes you the protagonist. Nakamura: The one who ended up protecting her was Brera. Hoshi: He just keeps getting little juicy bits. Yoshino: yup yup. To have Alto ‘fall’, we just kept piling all these juicy bits on him. Yoshino: It really is quite difficult to tell at the time you record the dialogue, huh? Nakamura: at that party, I heard that you sung Northern Cross? Hoshi: Because Yoshino was also there! Yoshino: Because I was there? I was in a different room, actually, and then someone came along with the message “Yoshino, Hoshi is looking for you! Come on, he wants to sing this song together.” But you were really drunk, weren’t you? Hoshi: It was a very drunken finish. Nakamura: so you closed with “Northern”? Hoshi: And it was, but the number wasn’t coming up…and so, flipping through, we found “Diamond Crevasse” instead – I like that song too, but because it’s so mellow, it’s really difficult to sing! Nakamura: Not something that you would sing as a rousing end to a night out. Yoshino: And well, because Hoshi wanted to sing together, we ended up doing it. Nakamura: Well, it’s great, isn’t it? Yoshino (being drowned out): but wait, it was the wrong series! Endou, Nakamura & Hoshi: A great ending, huh? Hoshi: It was great being able to end with “Diamond Crevasse”. Yoshino: Well, for me, the strange looks that were directed my way are something I won’t ever forget! Hoshi: They were warm, friendly glances, really! Yoshino: well, Hoshi did sing “Mosiac Kakera” (CG’s 2nd ending) several times. Hoshi: Three times, IIRC, three times altogether. Nakamura: Well, if you sung that three times, then it’s alright to sing “Diamond Crevasse” once. Endou: As a little bit of advertising. Hoshi: Everyone would understand that kind of thing. Nakamura: I think so too. Nakamura: And so…ah, we’re out of time! So everyone, with the rousing “Northern Cross”, one final word – just one! – each! Yoshino: Then, thank you! Just one word after all! Hoshi: Er…I’m glad to have played Brera! Nakamura: “Thank you? !” and me…er, looks like I’ve got about 10 seconds. Hoshi: You really got a lot, huh? Nakamura: well, please watch this and enjoy listening to this commentary where we talk about anything and everything! Yoshino: Thank you very much!